The three members of the 2018 class of ESLA awardees were announced and honored at the annual College of Business Homecoming Reception. The awardees were chosen by the college’s external advisory boards for their outstanding achievements at the early stages in their careers. Nicole Cundiff is a quadruple alumna of SIU. She graduated with a Bachelor of Arts in psychology in 2002, an MBA in management from the College of Business in 2005, a Master of Arts in applied experimental psychology in (INSERT YEAR) and a doctorate in applied psychology in 2010. 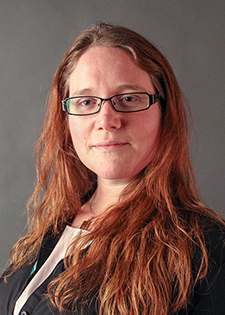 Cundiff is the director and associate professor of the Business Administration Program at the University of Alaska-Fairbanks, where she was previously an assistant professor and director of their Northern Leadership Center. Since graduation, Cundiff has been active in a variety of venues. She has been the associate editor for the “Journal of Leadership in Management”, a member of Young Professionals Council, a co-founder and member of the Lion’s Club – Fairbanks Entrepreneurs Club and a UAF Faculty Senate School of Management representative. She also volunteers with the Pride Foundation, the Boy’s and Girl’s Club, the Human Rights Campaign, the Golden Heat 100+ Women that Care, Mission of Mercy and Alaskans Together for Equity. Cundiff has been the recipient of several awards including Top 40 Under 40 in Alaska in 2015, (is this at UAF?) Chancellor’s Innovation in Technology and eLearning Fellow in 2014. She was twice named a Top 10 Reviewer from the Academy of Management. She also was awarded the adviser of the year for Student’s Offering Leadership Development in 2012. Clayton Pryor received his Bachelor of Science in Management degree in 2006 from the SIU College of Business and went on to earn his Master of Arts in Organizational Leadership from Lewis University. Pryor previously served as the director of workforce development for both the Quad County Urban League and the Chicago Urban League within Hyatt Hotels. He is now the director of workforce development for Advocate Health Care, where he manages a pipeline of prepared candidates for the healthcare industry. This position enables Pryor to carry out his passion of job creation and neighborhood revitalization in underserved communities. At SIU, Pryor was president of Black Interested in Business, a mentor for the Center for Academic Success, an intern for INROADS and a member of Alpha Phi Alpha fraternity. 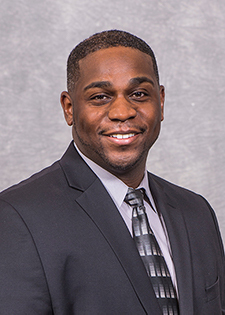 He is now involved at SIU as a board member for the Office of Diversity and Inclusion and a member of the CoB Mentoring Program. Ranie Atwood Verby graduated from SIU’s College of Business with her a Bachelor of Science in Accounting degree in 2002 and her MAcc in taxation in 2003. She has worked for KPMG, Ernst & Young and is currently employed by the Moneta Group in St. Louis as a financial advisor. 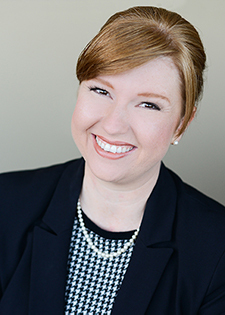 Atwood Verby holds a Series 65 exam and securities license and is a CPA in Missouri and Illinois. Atwood Verby is the associate board member and vice president of recruitment for the Center of Creative Arts, COCA. She is also a member of the St. Louis Women in Investment Network. A Southern Illinois, native, Atwood Verby has a passion for ensuring local students have access to an affordable degree from an accredited program. She helped establish SIU’s original Associate Board for Accounting, which reinstated the CPA review course and provides scholarships for the course.